Unchecked decay is the beginning of the end and can cause loss of the tooth structure that requires a dental crown or implant and crown to maintain your smile. While the twice-yearly checkup is a necessity for patients to assess their dental health, there’s more to it than that. Our practice in the Monrovia area features Cariview, a device that detects tooth decay before it shows up on your X-rays. Cariview shines an infrared light on your teeth, detecting decay and weaknesses in the structure. This allows Dr. Q to treat your cavity before it becomes visible on traditional imaging. Numbing the area to prevent pain. You also have the option of nitrous oxide to help calm you during the procedure or oral sedation for extreme cases of dental anxiety. Removing all decay from your tooth and cleaning the area before placing the filling. Applying a tooth-colored composite to fill in the missing tooth structure. Drying the composite using a special light that speeds the process. One filling usually takes no more than thirty to forty minutes, and you will be out the door and back to normal the same day. How Will I Feel After My Dental Filling? Soreness from the anesthesia injection. Swelling around the gum tissue surrounding the filling. These will subside within a few days of your procedure and can be managed by taking over-the-counter pain relievers. Consuming more sugar, particularly refined sugar and high-fructose corn syrup. Eating frequent snacks vs. three balanced meals. This produces more saliva which wears away at your teeth. Not brushing or chewing gum with Xylitol after meals. By providing this additional step of assessment, we ensure that our patients are aware of the cause of their tooth decay and give them simple ways to correct it. There is a right way to take care of your teeth, and we are happy to spend time helping you find out what you can change to prevent cavities. Each consultation is an opportunity for you to ask questions and us to help you achieve the best possible dental health. 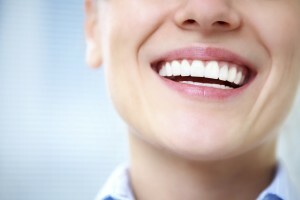 We’re here to help you maintain and improve your dental health. To schedule a consultation, contact our office in the Monrovia area at 626-599-9819. We’re always happy to answer any questions you have regarding your treatment options.